A highly cultural and spiritual festival held annually in Osun State, the Osun-Oshogbo festival is held between the months of July and August and sees thousands of Osun worshippers, observers as well as tourists from all over the world who come to join in on the festivities. 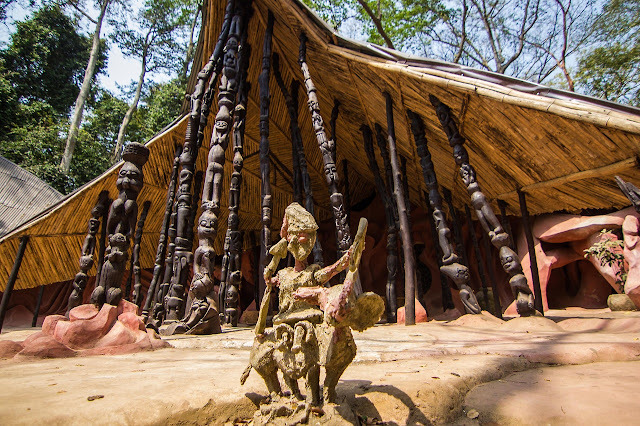 Celebrated at the Sacred Osun grove in honour of the river goddess, Oshun of Osun State, the event spans for two weeks. The first stage features the ‘Iwopopo’ - a traditional cleansing of the land- at the initial stage, ‘Ina Olojumerindinlogun’ - the lighting of the 500-year-old sixteen-point lamp- three days later and finally the ‘Ibroriade’, an assemblage of the crowns of past rulers, and a committee of priestesses. While the colorful parades and parties across the city suggest light-hearted merriment, the Festival is a strong aspect of the Oshogbo culture.